The independent police watchdog has confirmed it will be investigating Sussex Police’s handling of the deaths of two women at the hands of their abusive partner. 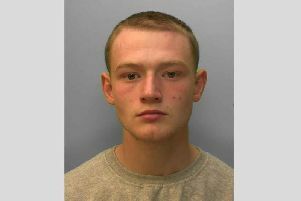 Last year, Robert Trigg, an unemployed man from Worthing, was sentenced to a minimum of 25 years in prison for the murder of Susan Nicholson, in 2011, and the manslaughter of Caroline Devlin on Mother’s Day, 2006. Despite both women dying in similar circumstances and being discovered by Trigg, the fact that Trigg had a history of domestic abuse which was known to police and some officers working on both cases, the murderer was not brought to justice until Ms Nicholson’s parents spent £10,000 of their life savings to pay for a private prosecution. The Independent Office for Police Conduct (IPOC) decided to investigate after Sussex Police referred the findings of a review into police conduct in the Trigg case. It commissioned Thames Valley Police to carry this out. Click here to read more. The force has also apologised to the families of Trigg’s victims. Initially, Ms Nicholson’s death was recorded as accidental after a coroner’s inquest, and Miss Devlin’s was recorded as natural causes. Trigg claimed he woke to find Ms Nicholson dead on the sofa, five years after he claimed he woke up to find Miss Devlin dead in bed. Anne Devlin, Caroline’s sister, said: “The police should be taking it seriously. It will be 12 years in March since Caroline’s passing, and he had gotten away with it for all that time. In a statement released last week before news of the IPOC investigation was announced, Sussex Police said: “At this stage we just want to emphasise that, as Assistant Chief Constable Laurence Taylor said last year, we are truly sorry it took so long to get justice, and it is important that we learn any lessons and provide answers for the families of Caroline and Susan.